Are you looking for a pool that will truly set your home out from the crowd? An indoor pool is the perfect addition to any property, turning a regular house into a villa-esque masterpiece. You’ll be able to swim whenever the mood strikes, day and night, and enjoy a feature that will complement your lifestyle. Why Choose an Indoor Pool? Indoor pools are a great choice for anyone who wants a beautiful and functional water feature without the endless maintenance that comes with a traditional outdoor pool. 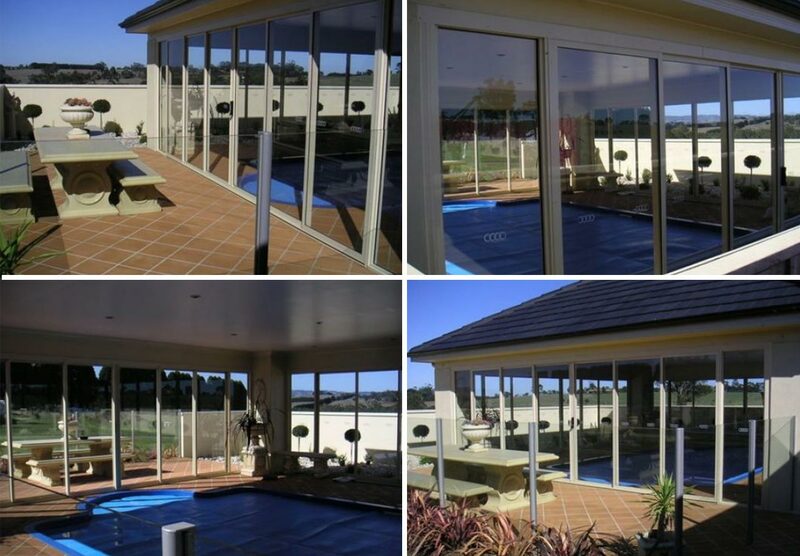 Sheltered from the elements by your home itself, users are protected from harsh sunlight and UV rays, whilst the chemical content within the pool can be kept to a minimum as there will be no debris and insects making their way into the pool. What finishing touches are perfect for an indoor pool? What shell works best for an indoor pool? With indoor pools, you are only limited by your imagination! Choose a concrete or fibreglass shell, and in any length, width and depth to suit your needs! Concrete styles are custom designed to your needs, or we have a wide range of fibreglass options to choose from. What style is suited to my home? When it comes to indoor pools, we think lap styles are the perfect choice – they often run across the length of the home and can offer a clever use of space. Alternatively, if need a compact option, courtyard and plunge pools can be a great choice too. Should I build my indoor pool at the same time as my house? This is the best time to build your new pool, as you can be sure it will match your architecture. If you’re building a new home from scratch, contact us whilst your plans are being drawn up, and we can ensure it fits perfectly within the design. Can I have an indoor pool if I already have a home? Building an indoor pool isn’t as simple as their outdoor counterparts – it often involves a significant renovation at the same time. If you have an existing home, the pool area will be custom built around your house – nothing our experts haven’t done before! Based in Ravenhall, Coral Pools is proud to offer its professional pool building services to the western Melbourne region, including Deer Park, Derrimut, Laverton, Sunshine, Caroline Springs, Altona, Rockbank, Tarneit, Hoppers Crossing, Williamstown, Werribee, Point Cook and many more. Please contact us to see if we install indoor pools in your area.